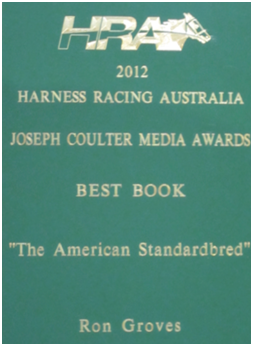 The purpose of this book is not to produce a history of harness racing with accounts of the colorful owners, drivers and breeders who have contributed so much to the sport. These stories have already been well told elsewhere. Rather, the aim here is to provide an analytical history of the rise and demise of sire lines and maternal families that have created the contemporary champions. 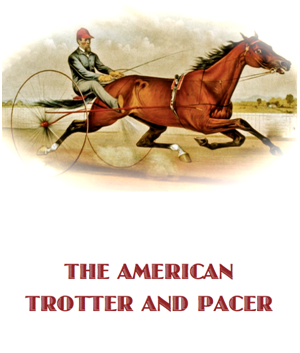 The first chapter outlines the terminology used while the second provides a brief history of the nineteenth century origins of the American trotter and pacer. Those seeking greater depth on these early years are advised to seek out the insightful and beautifully written The American Trotter by John Hervey. Four chapters follow on the development of sire lines and maternal families. These attempt to trace their development, not through reputation or historical anecdote, but through their outstanding performers. These are based upon a comprehensive data base of successful performers. The tables and text of this e-book are supported by hyperlinks to this data base at Classic Families. Chapters seven through nine discuss the outstanding sires, mares and race performers and are certain to arouse conjecture and disagreement. Those selected and ranked are of my own choosing. I have not had the privilege of witnessing them perform and instead have resorted to analysis by record and video replay. While I acknowledge that this is not quite the same thing, it is all that can be achieved from the other side of the world. Similarly, it is all but impossible to compare champions from different eras that did not compete directly against each other. How could we confidently predict how superstar Muscle Hill would have fared under the same racing conditions against the likes of Mack Lobell, Nevele Pride, Greyhound or even Dexter from more than a century before him. But the figures are here for you to make up your own minds. I hope you enjoy arriving at your own decisions and discussing them with friends. I would like to acknowledge the onerous task of proofreading that was undertaken by my friend and colleague Peter Craig to diminish my errors, omissions, and typos. Web Site by Syntax Software Pty Ltd - Copyright © 2011-2018.